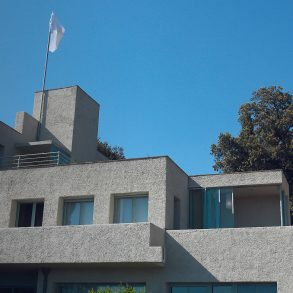 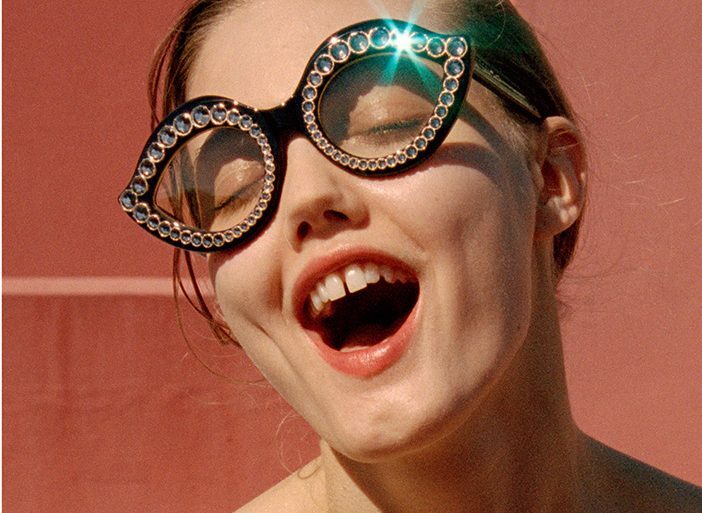 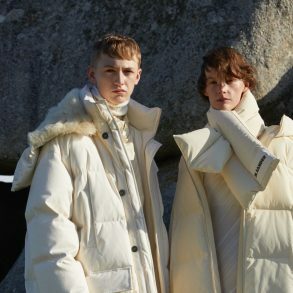 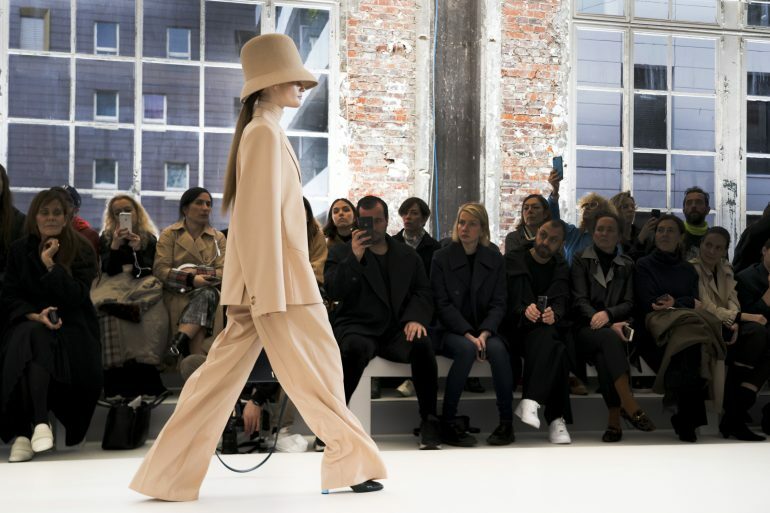 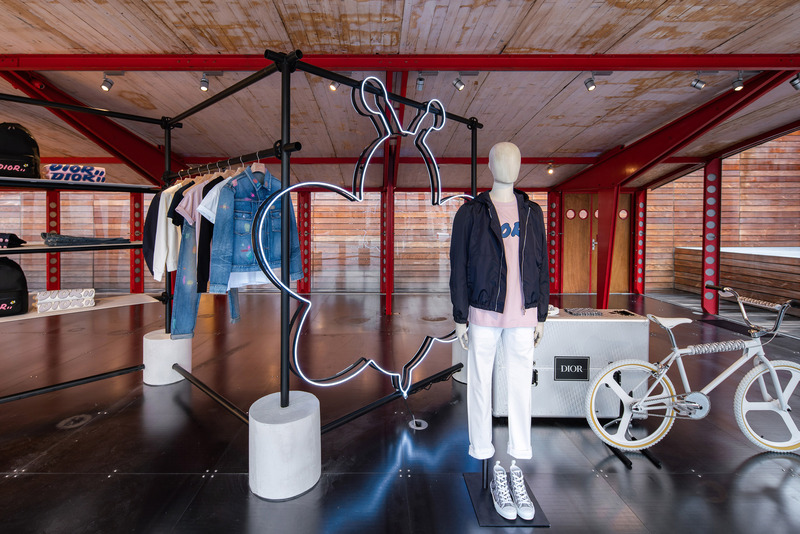 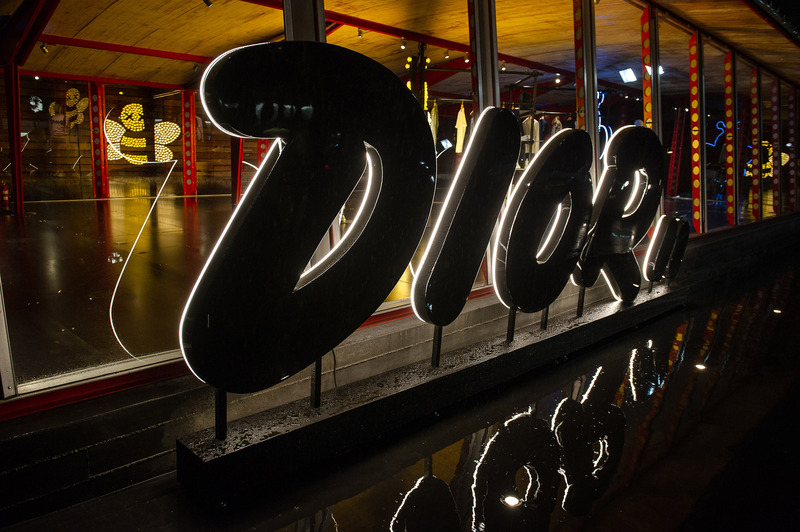 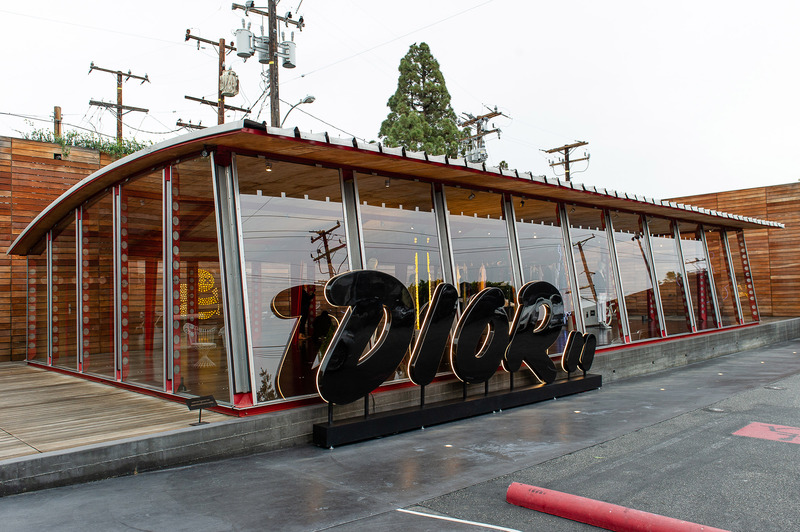 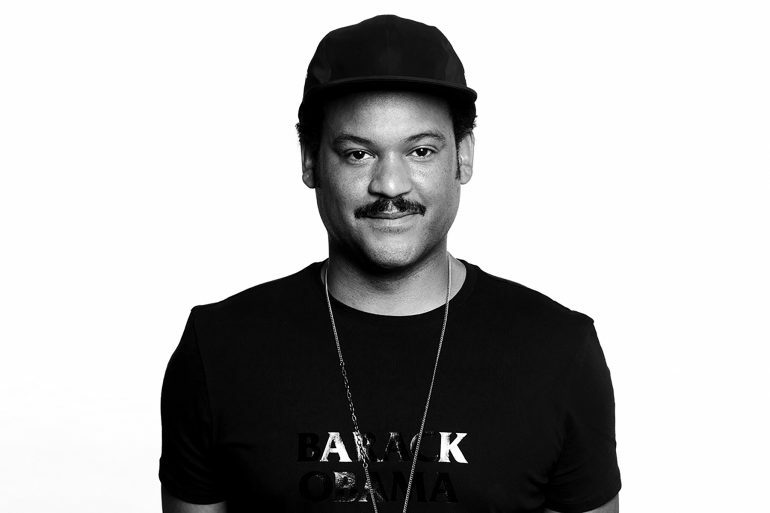 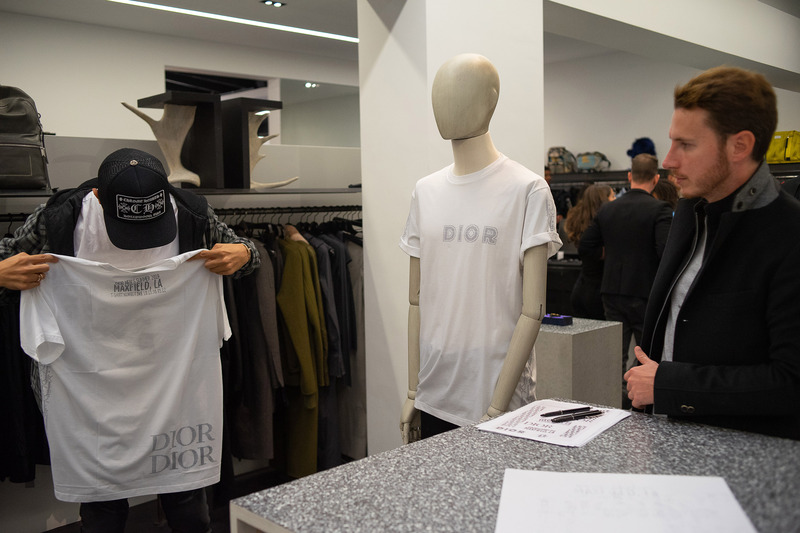 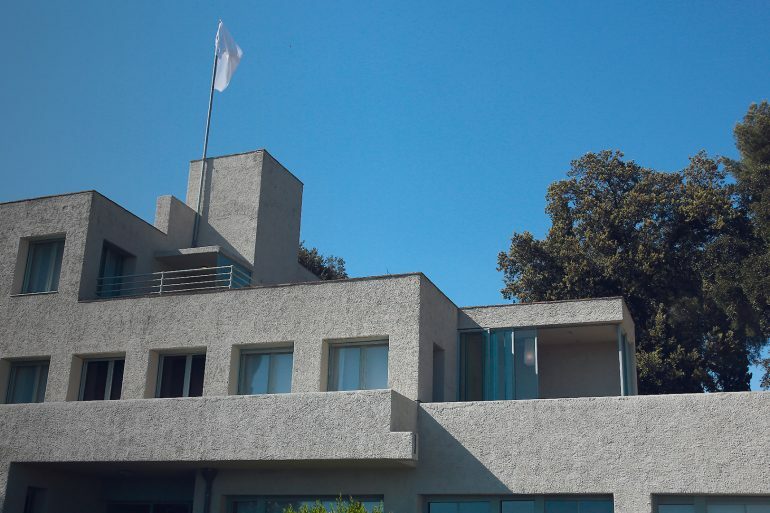 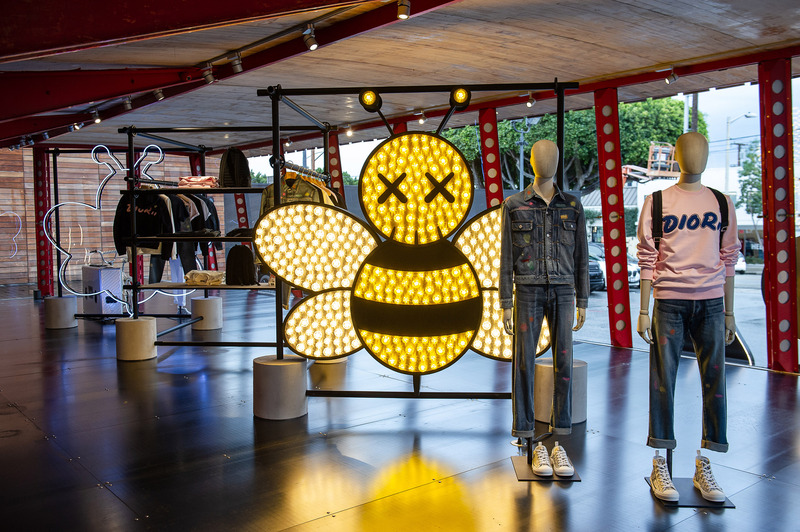 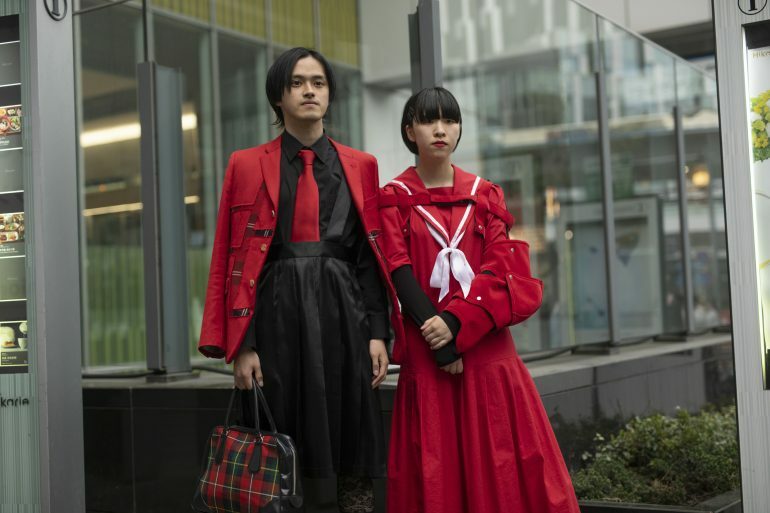 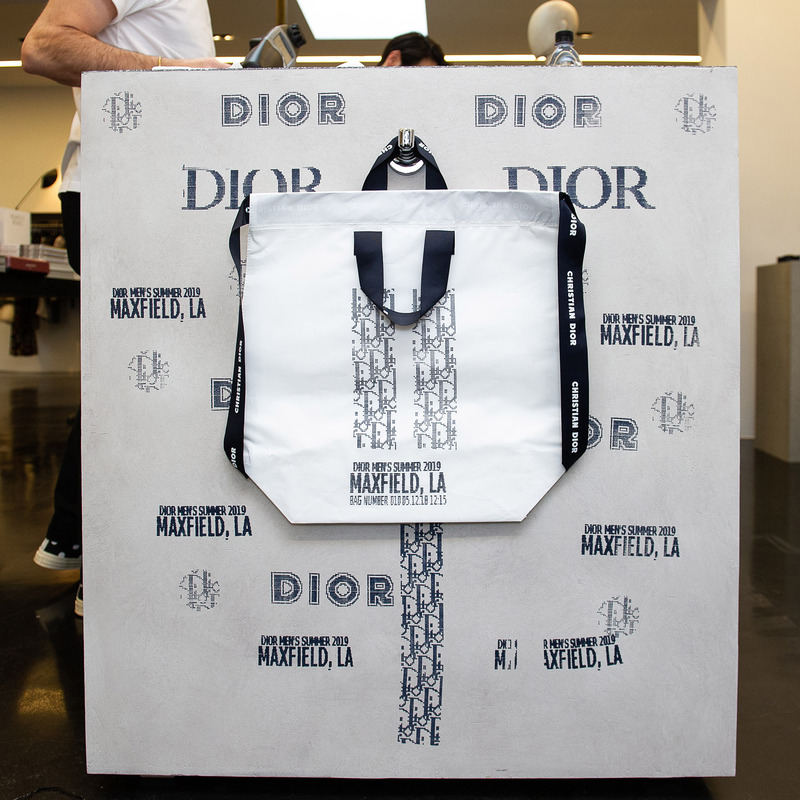 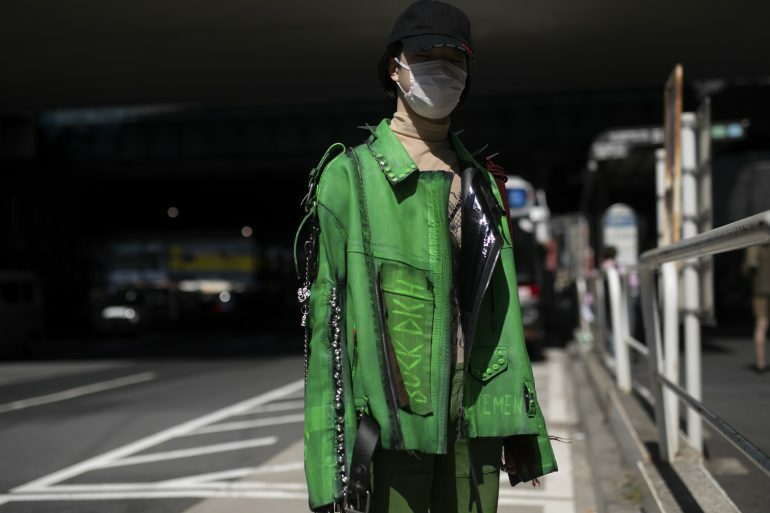 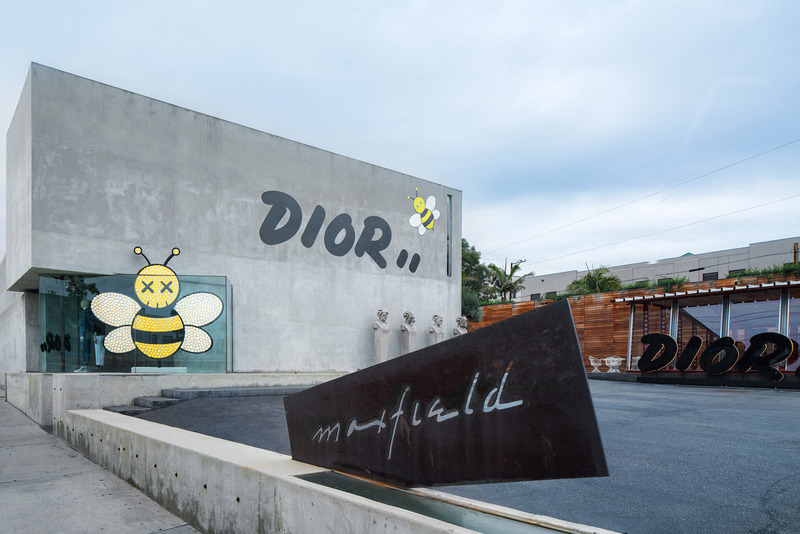 In an early celebration of the launch of the Dior Men Summer 2019 capsule collection by Kim Jones, the house of Maxfield in Los Angeles has launched a pop-up. 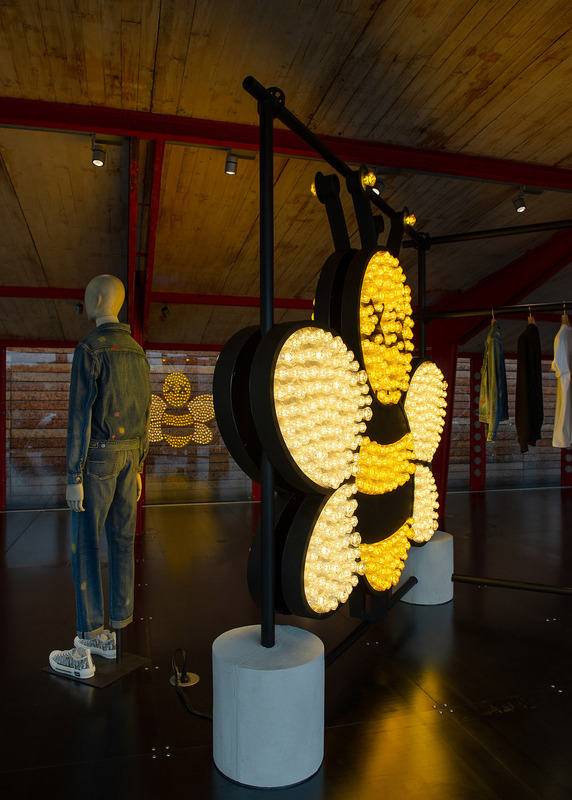 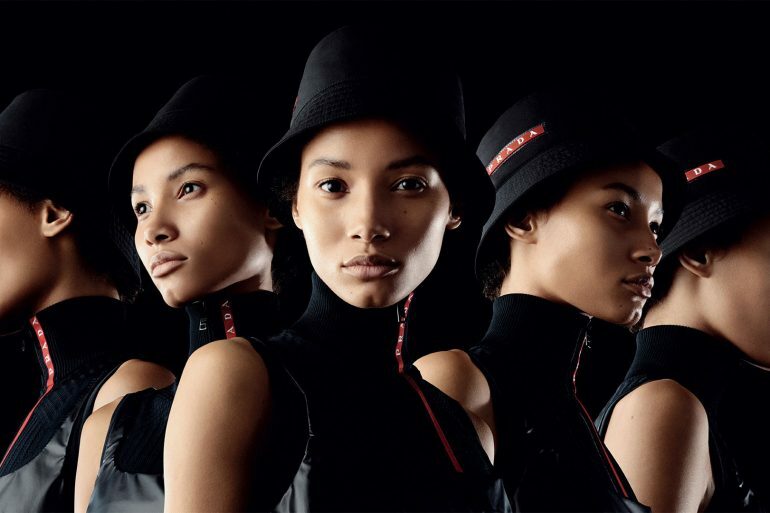 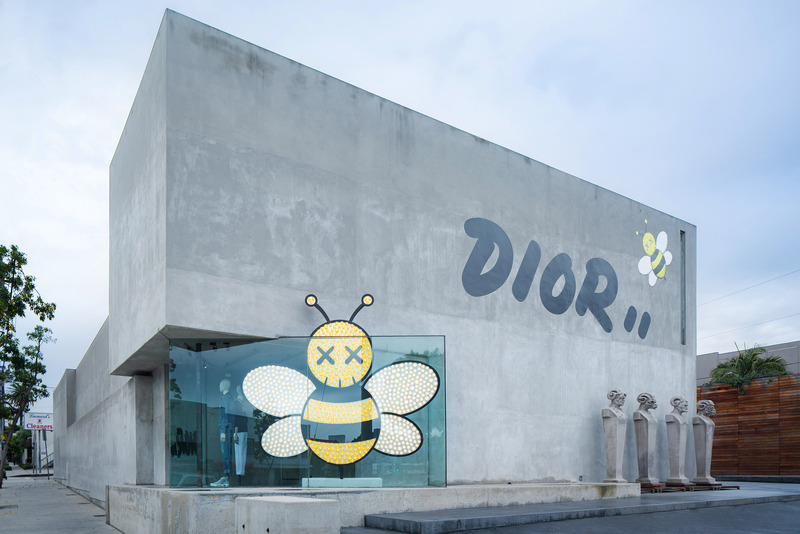 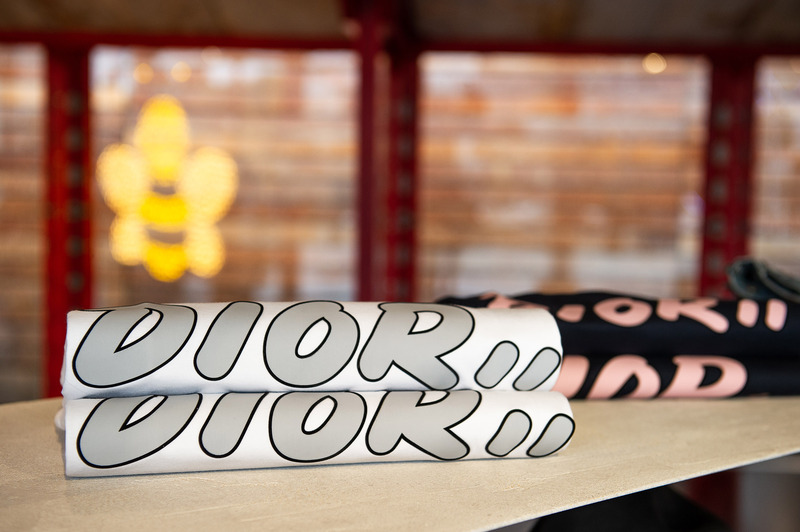 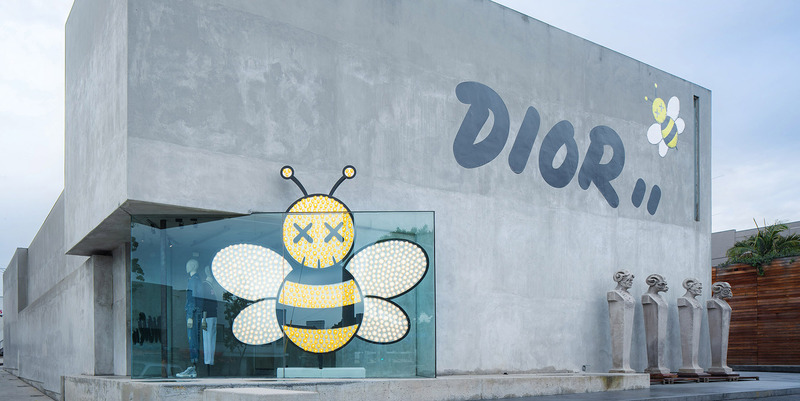 The capsule features a prominent assortment of products designed by Dior Men’s Artistic Director, Kim Jones, who commissioned artist KAWS to reimagine the Dior logo and iconic bee. 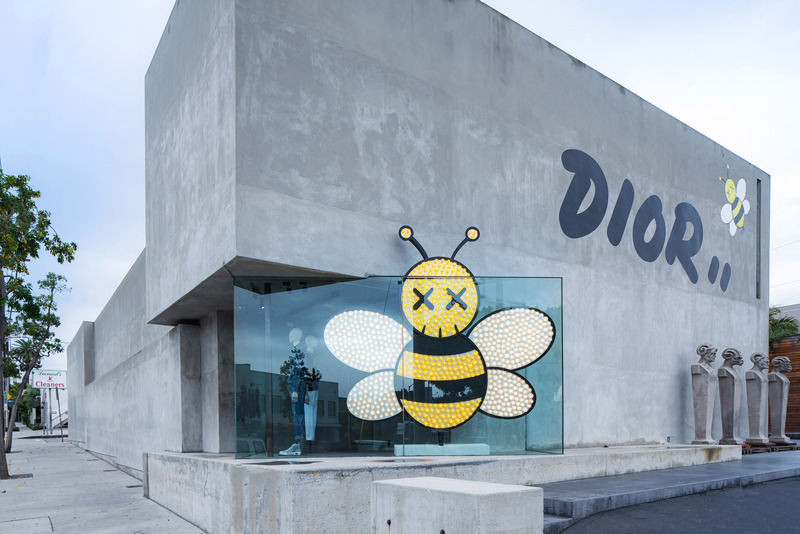 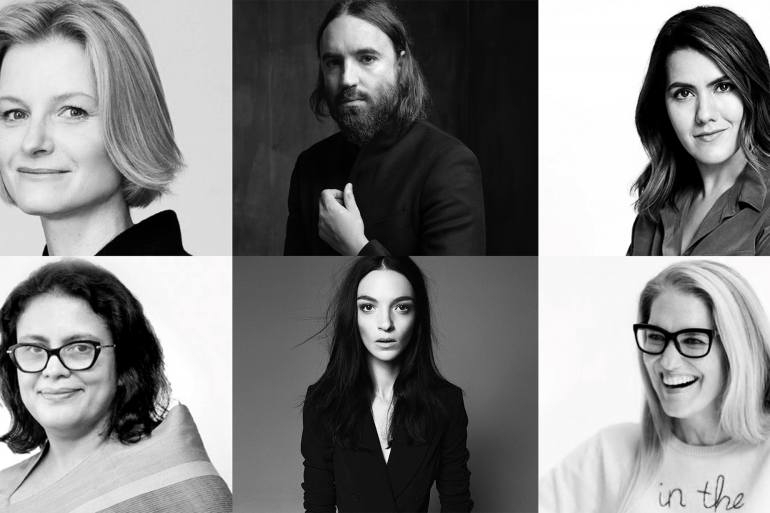 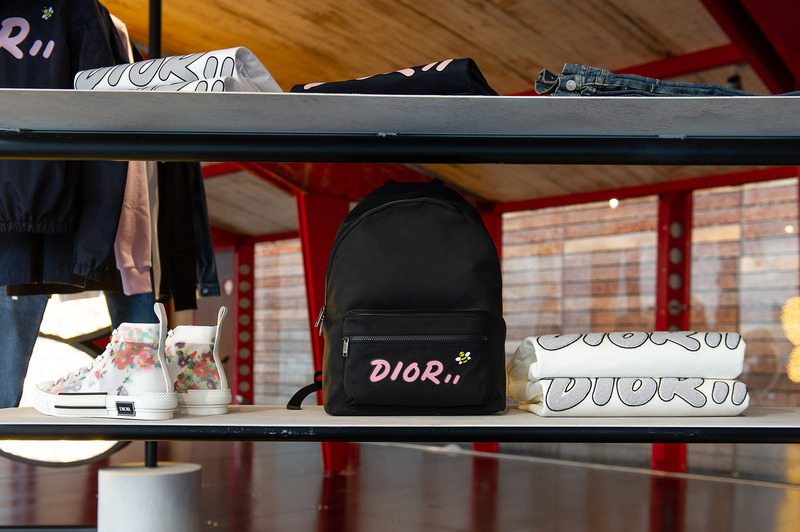 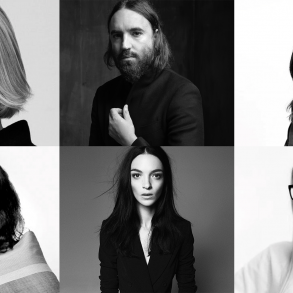 Amongst the assortment of products which will be on display and available for purchase at Maxfield are an array of Dior x KAWS t-shirt, sweatshirts, backpacks and more. 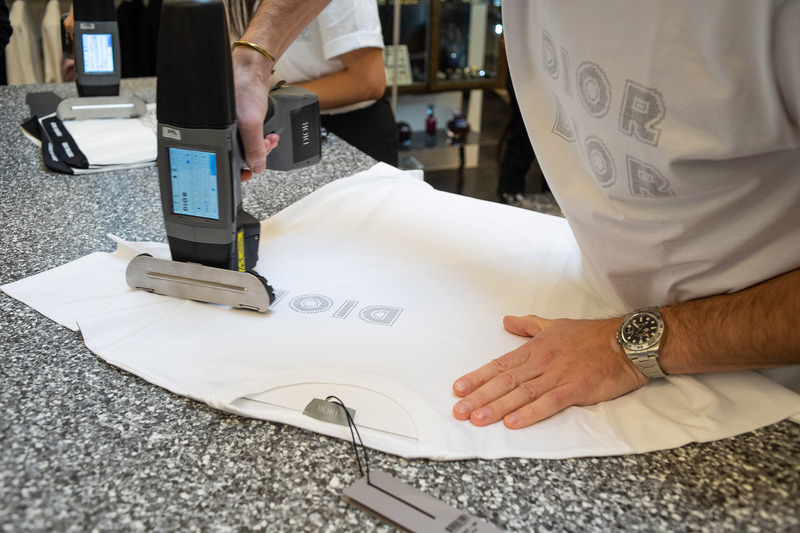 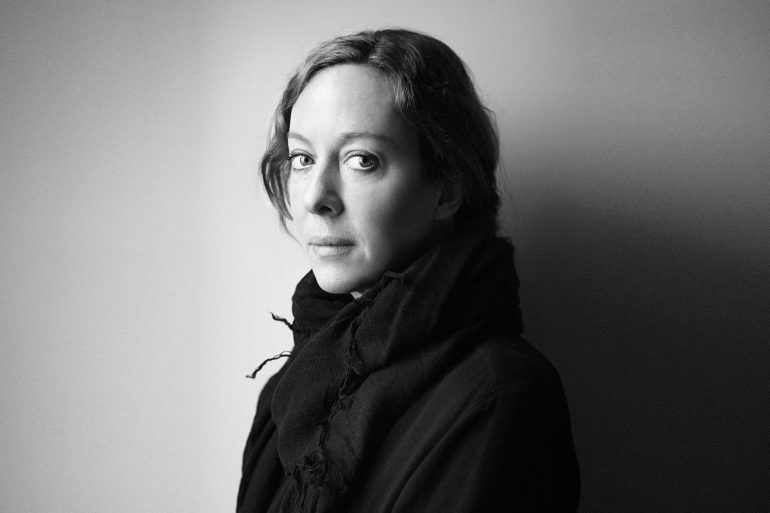 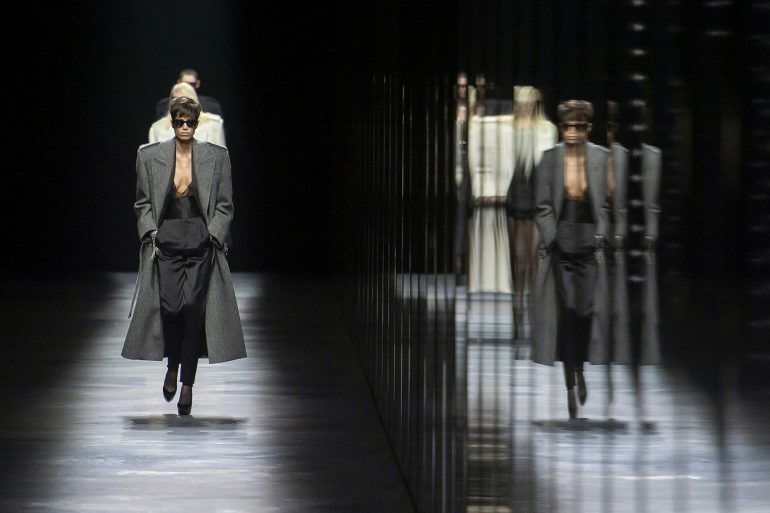 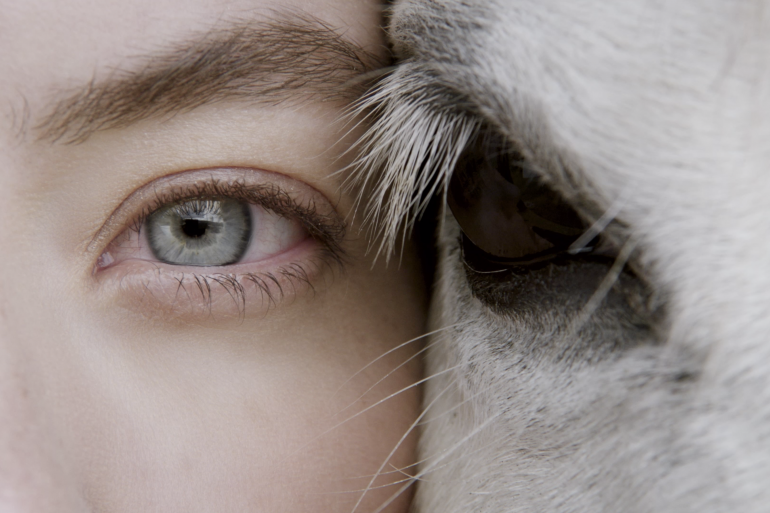 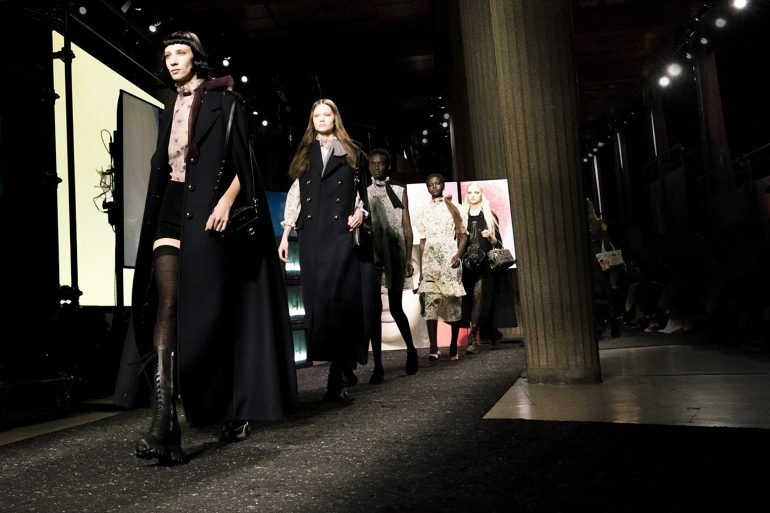 In addition, Dior is unique denim pieces using a special craft of Japanese Boro which is a complex 17th century embroidery technique that gives clothes extra resistance and strength, punctuating some of the casual denim pieces to give it a “couture” flavor. 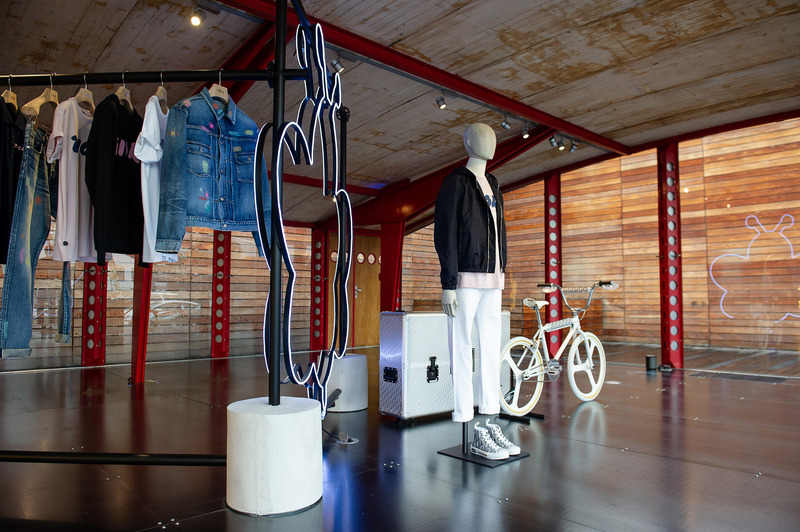 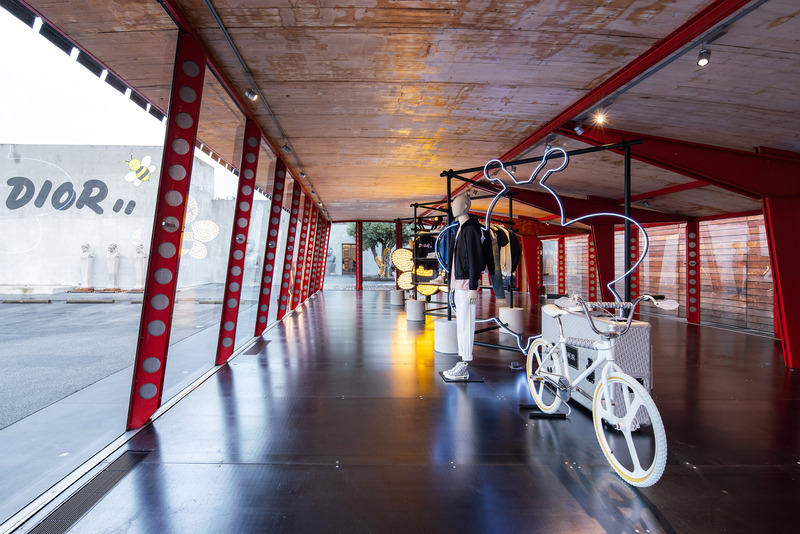 Last but certainly not least, a limited edition Oblique BMX bike will be on display both in Maxfield’s Prouve House as well as a dedicated display window. 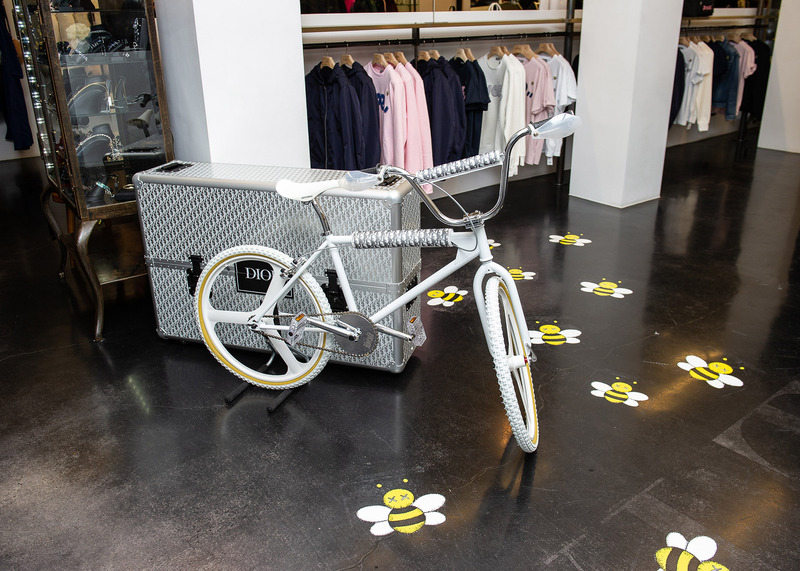 The unique bike features premium materials such as transparent handguards and pedals, mirror chrome and the Dior Oblique print on see-through mesh. 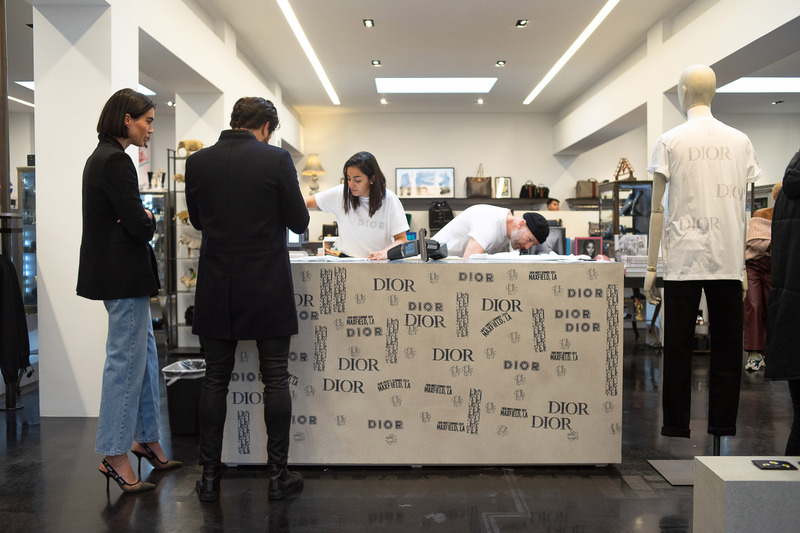 For the very first time, the bike will also come with a special Dior Oblique pattern aluminum case with top and side handles for easy carry. 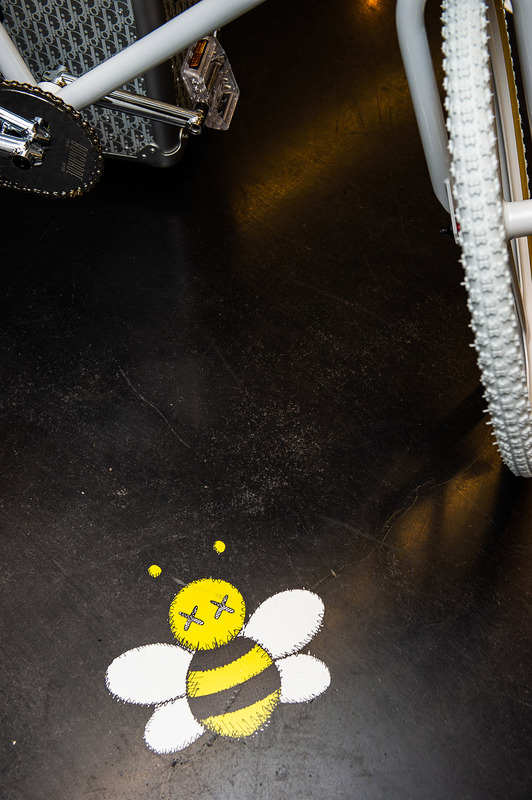 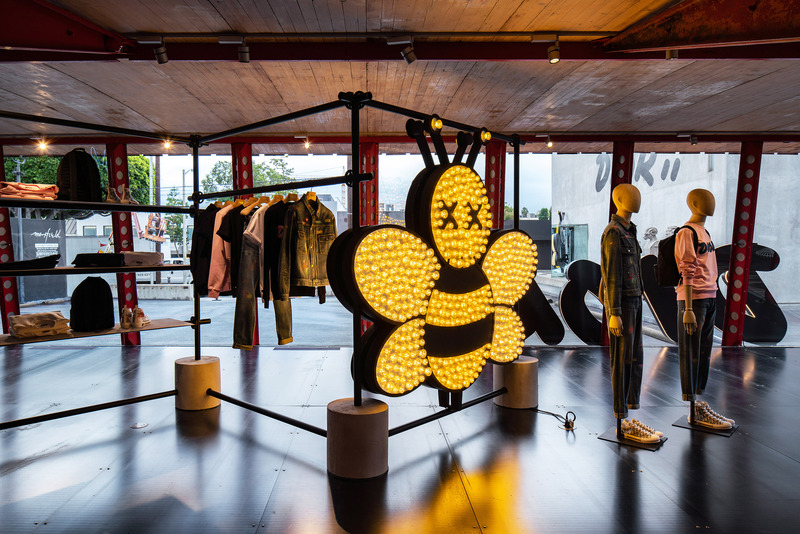 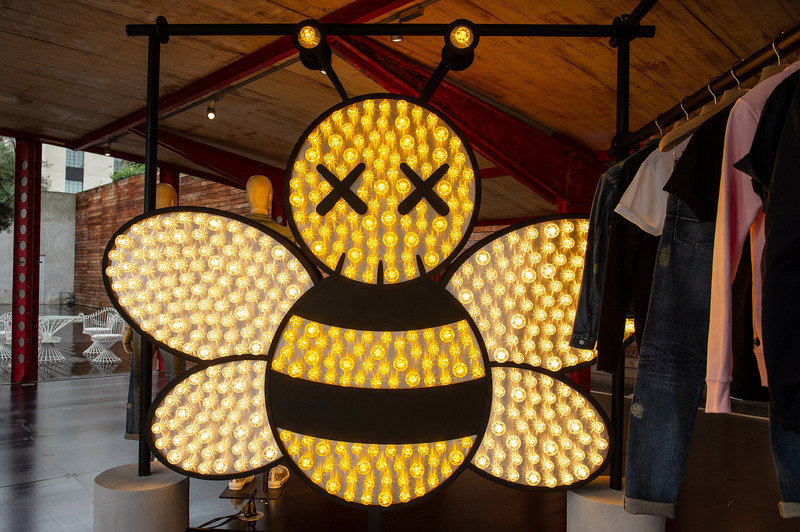 The pop up that is running through December 26th, will be highlighted through a dedicated visual installation that will live within the Prouve House and Maxfield’s window displaying a large-scale, roughly 8 ft tall structure of the KAWS bee. 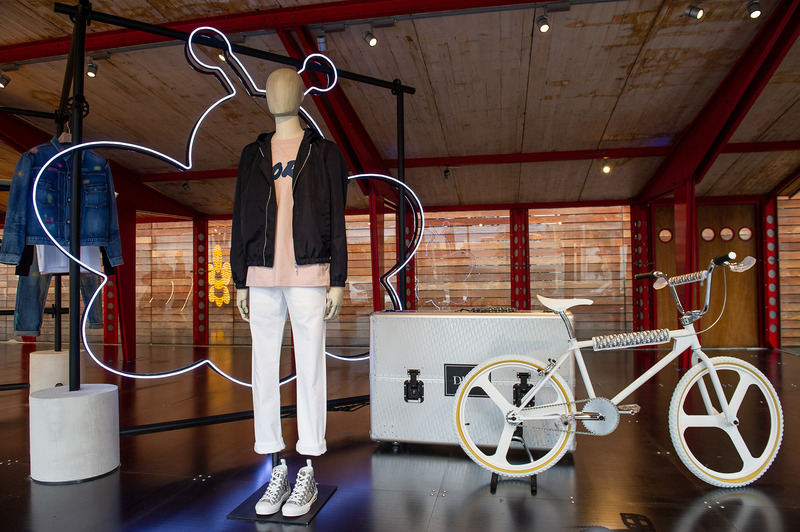 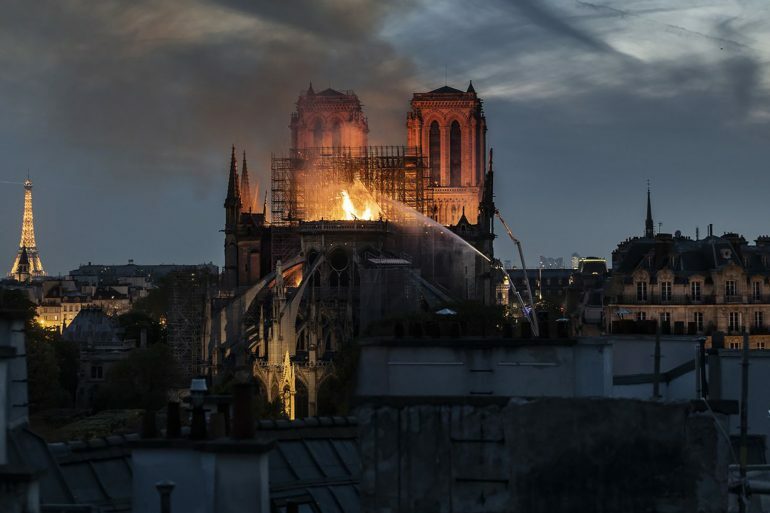 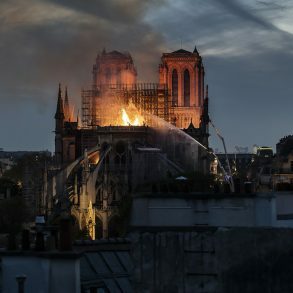 The interior of the space will also feature black scaffolding to mirror the show space from the Summer 2019 runway.